So, I recently spent a week out of town, living in a university dorm. It was Canada's little "silicon valley alley" and they had some good WiFi resources around. You could feel secure being there, but it's still an unknown area. Some folks might want to be ensured their connection is secure, or maybe being away that long from work, I'd need some files from the network so our IT will want to ensure my connection to the network is secure. How can we be sure that the connection is secure? How will we know that someone isn't in between the connection and giving everything we upload or download a look-see? This is where a VPN comes in to play. 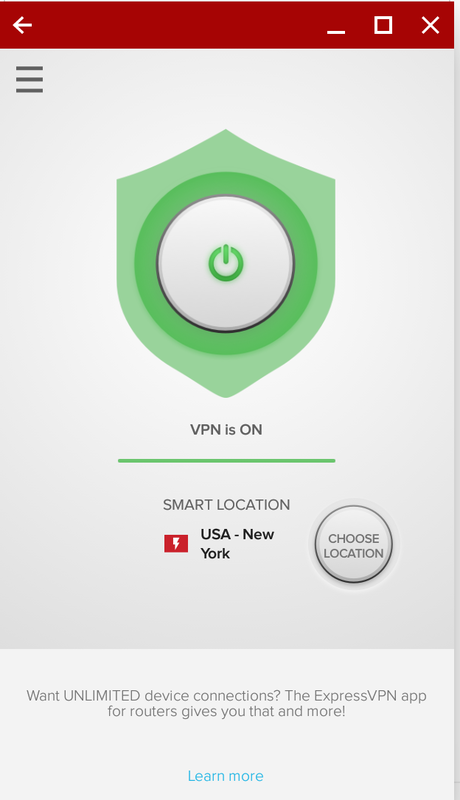 There are plenty of options out there, but today's we're going to show off ExpressVPN. I'm not going to go into any great depth of what a VPN is and how it does what it does what it does... there are plenty of options around that. But there are more reasons to have a VPN, maybe you want access to a website that is only accessible if you're in that country. Doing that now sets up the device to say "any internet now comes through this". It was pretty simple. 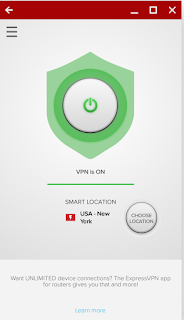 On my phone the app has a nice looking shield that I just tap to turn on the VPN service when I want it. At home, maybe I leave it off. I trust my home. At the cafe, maybe I'll turn it on. A hotel where like a ton of WiFis are showing up like "ThIs DeFiNiTeLy NoT a ViRuS". 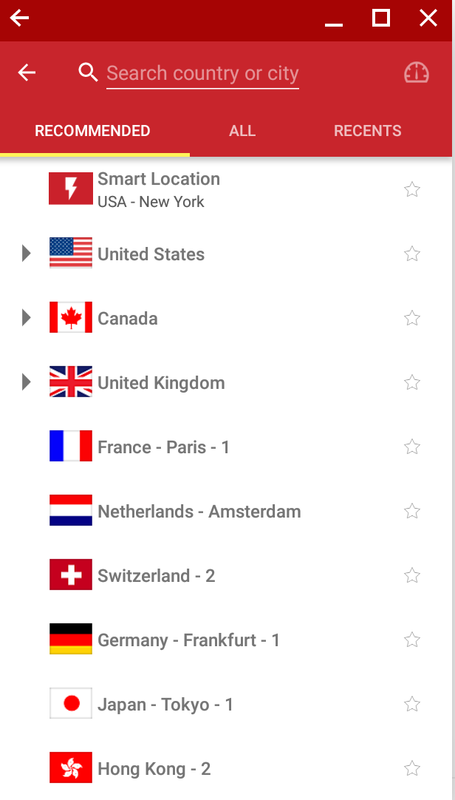 You'll see at the bottom of the app that you can choose your location. This is where if you're trying to 'spoof' your location for a geofenced site can help out. 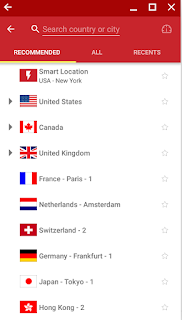 Tap it and you can change where you want your location to be sourced. Note: that Netflix sees your trickery and I couldn't fool it to get me different country's access. I could load the site, see a different category, but nothing would play. ExpressVPN doesn't (so they say) read your data as it goes through their pipe and you're allowed unlimited bandwidth through it. 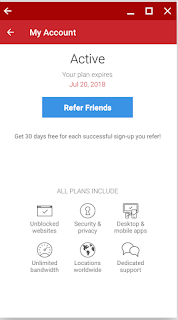 If you want to try it out, you can use my referral link, but know that you could just sign up on your own. 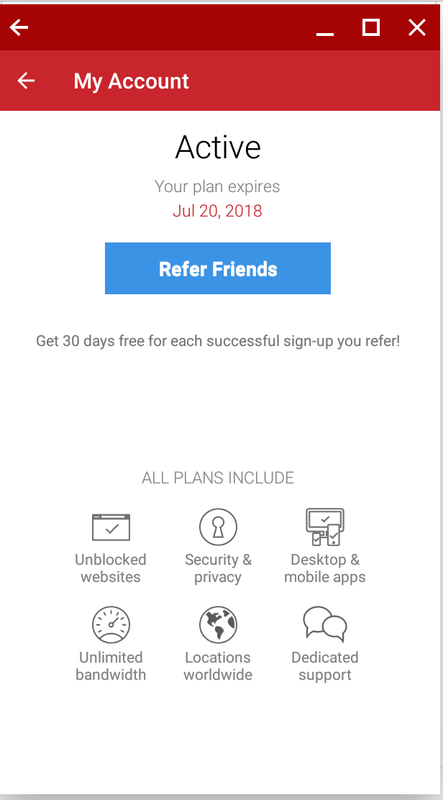 Clicking my link just allows me to get a free month from the 'referral'. Wish I could have offered you a deal or something ... sorry. Whether you're looking to get around a geofence on a site, a blocked site list from a network or just want to ensure that nobody's sniffing the line, a VPN is a good bet. There's probably a lot of choices out there, but this is the one that I have given a shot.